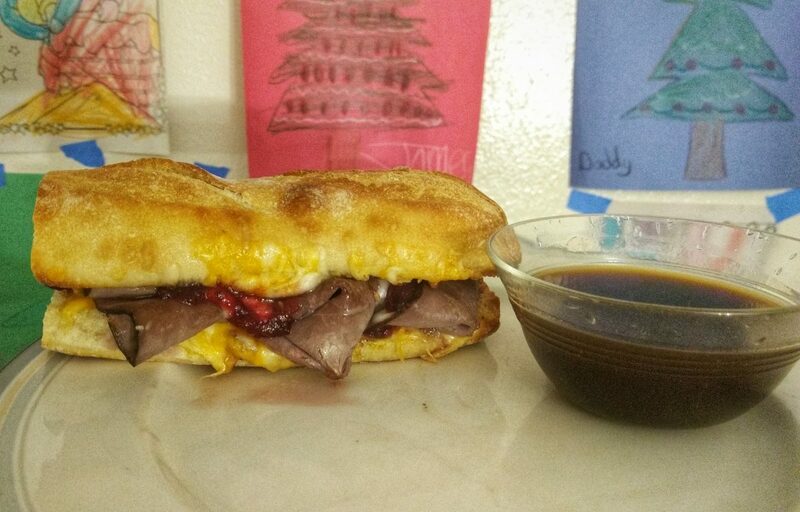 This roast beast dip sandwich is best served warm, for the melty colby jack cheese and that flavorful au jus. But that’s not all you’re getting this Christmas– there’s a cranberry and herb chutney that’s sweetening the pot on this otherwise savory selection. Through a toasted, crispy baguette exterior, through to the roast beef you’ve come to love, then the kiss of cranberry, thyme, and rosemary. The taste will make your stomach grow two sizes, and that’s perfectly acceptable for the holidays. We’ll see you next year!